WEBINAR SNAPSHOT: Learn how to use job grades and pay structure to create a winning compensation system. We’re just about halfway through the year, and you’re beginning to think about planning for 2019. Maybe it’s time to review job grades and think about re-ranking jobs, moving positions, reviewing internal equity, or adding variable pay systems into the total reward compensation mix. A change in your pay grade structure can result in getting maximum productivity from your employees and, at the very least, help you retain top talent. Whether you want to reward performance, longevity, knowledge, skills, or competencies, determining pay grades is the first step to creating an internally equitable, market competitive compensation system. Without accurate pay grade determination, it won’t matter how good your pay survey data is, internal equity will likely be skewed too high or too low. Use this all-new on-demand webinar where Doug Lwin, an expert in compensation management, will walk you through how to create an equitable and competitive compensation system to attract and retain the best employees, as well as the pros and cons of using a job grade system. In just 90 minutes, you’ll gain a better understanding of job grades and begin to design a pay plan that will help your company as it moves into the future! 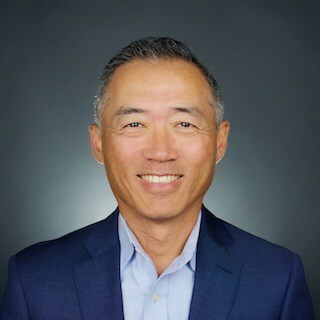 Doug Lwin started his Compensation career over 25 years ago as a Compensation Analyst and most recently as Vice President of Global Compensation. Over the years he has worked on all aspects of Compensation at small US organizations to very large global corporations and in various industries. Along the way, he learned what to do as well as what not to do to operate a successful Compensation function to support an organization. He has a Bachelor of Science degree from University of Maryland and MBA from Johns Hopkins University. Mr. Lwin was most recently at AECOM in Los Angeles where he was the Corporate VP of Global Compensation leading a team of compensation professionals responsible for the design, execution and administration for over 70 thousand employees. Prior to that, he was at Lockheed Martin as the Broad-Based Corporate Compensation Director. As a part of the senior leadership of Total Rewards and Performance Management team, he was responsible for enterprise-wide Broad Base Compensation management of the corporation (over 120K employees) and provides thought leadership in compensation philosophy, strategy and policy for the corporation. Lead the development, design, and deployment of the common systems and processes used within Lockheed Martin for compensation management. Before joining Lockheed, he was with American Capital, a private equity firm in Bethesda, MD. In his role, as Vice President for seven years, he was responsible for global compensation, benefits and HR Technology. For several years prior, Mr. Lwin was at Friedman, Billings, Ramsey (FBR), and investment bank in Arlington, VA where he held a similar role. 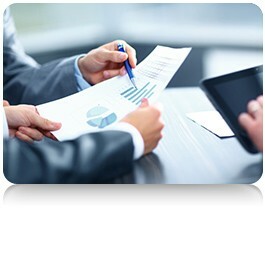 Mr. Lwin also worked for NASD (now FINRA) and Nasdaq Stock Market for approximately 12 years. There, Mr. Lwin began as an analyst and left as a Senior Director where he was responsible for compensation, HR information systems, and their ex-patriot program. Over the years, Mr. Lwin has been involved with a number of national and local professional organizations. He was a past two-term President of the chapter and Vice President of Surveys for the Washington Area Compensation and Benefits Association (WACABA, a local chapter of World at Work). He was also on the Board of the Human Resources Association of the National Capital Area (HRA-NCA) for several years where he oversaw the annual compensation survey and began the benefits survey for the organization. Mr. Lwin holds a Bachelor of Science degree from the University of Maryland and has and MBA from Johns Hopkins University. He is also a Certified Compensation Professional (CCP), a Certified Benefits Professional (CBP) and a certified Global Remuneration professional (GRP).